Username/Email Address  Use the email address that you used on your application when applying for use and your account was originally opened. Change Username/Email Address  After logging in, go to Members Home Page, click on "Settings," then "Change Contact Information." Forgot My Password  Enter your Login ID (your email address for your account) to receive your password. Your password will be sent to your email address within a few minutes. Cannot Login  If you think you are using your correct email address and password and you cannot enter the site and get to the Members Home Page and it is urgent that you reach us, call 877-393-5310 or 717-393-5317 during 8:00AM to 5:00PM EST. If you get our voicemail, please leave a message and we will return the call at our earliest opportunity. Also you can click on the Contact Us link to fill out the form to describe your issue and submit. How Do I Know If I'm Logged In?  You will see identifying information at the top right of the page after "Welcome." Members Home should also be highlighted. Screen Freeze  Logout and re-login, then make sure you are on Members Home Page. 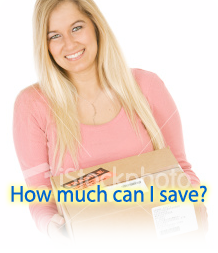 Rates for Shipandinsure.com  Click on Rate Calculator. Order History  Click on "Orders," then Order History. Submit a Request  Click on the Contact Us link to submit a request. Concern or Issue  Please call our office at 877-393-5310. Enter your Login ID to receive your password.